Often overlooked, Namibia’s “little 5” call the dunes and desert surrounding Swakopmund and Walvis Bay home. Enjoy an exciting and educational tour in the company of knowledgeable guides to discover the abundance of wildlife – ranging from scorpions, lizards, rolling spiders, geckos and snakes to skinks. See the desert landscape with new eyes as its fragile beauty is shown to you during a scenic 4×4 drive. This is an excellent photographic opportunity and suitable for both adults and children as a deeper appreciation is instilled for the fauna and flora of the dune belt. 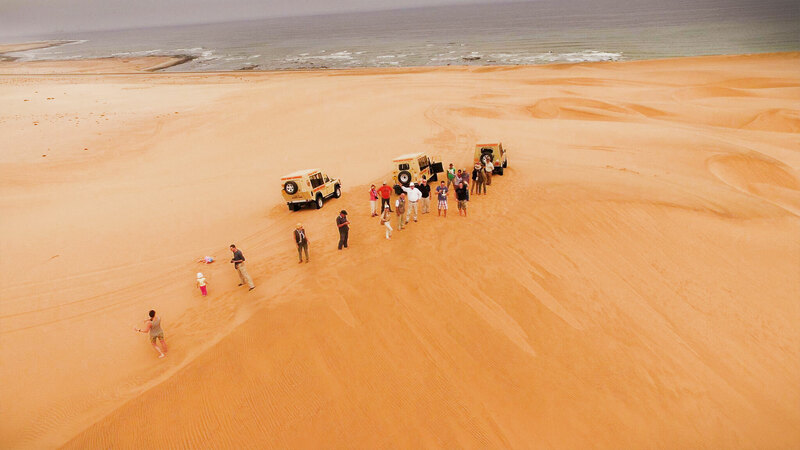 Tours depart from Swakopmund at 08h00 and ends at 13h00 and group sizes can range from 2 guests to 20 guests in the company of three guides.